It’s interesting what pregnancy does to your body, aside from the obvious of what’s going on inside. On the plus side, my hair and nails have been growing like weeds and have never looked better. But, on the other hand, my skin is like that of a 13 year old, and not just on my face. And I can’t forget to mention the dryness and itchiness, thanks to that rapidly expanding belly. For the past few weeks that I've checked my pregnancy app, two little words have been staring back that I just dread - stretch marks. I know it's inevitable that they will come, and when they do I should consider them a 'badge of honour', but dammit, I am going to try as hard as I can to prevent them. When it comes to my skin, all natural has been the way to go. Lately, that's been more important than ever now that baby is on board. While there are many products on the market that remedy the dryness and itchiness of stretching skin, a lot contain some not-so-friendly ingredients that have no business being near baby. Are you expecting? 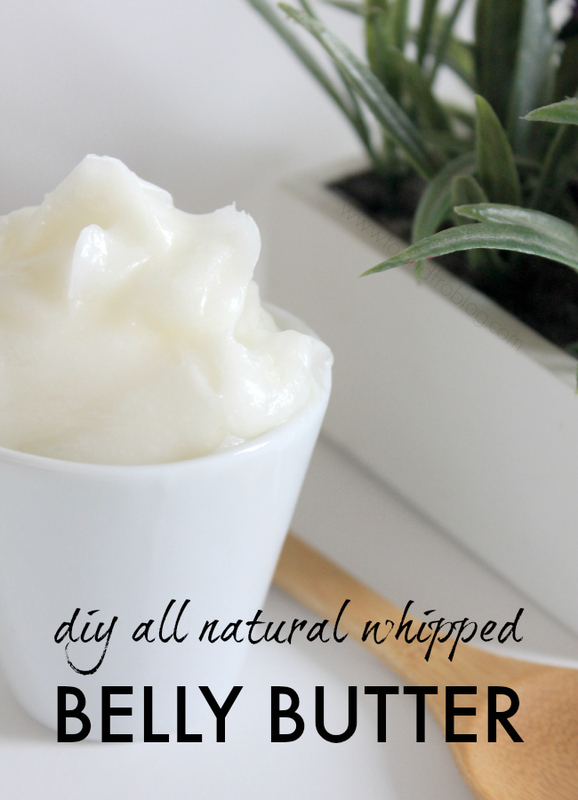 Try this recipe for an all natural whipped belly butter, my secret weapon from day 1. 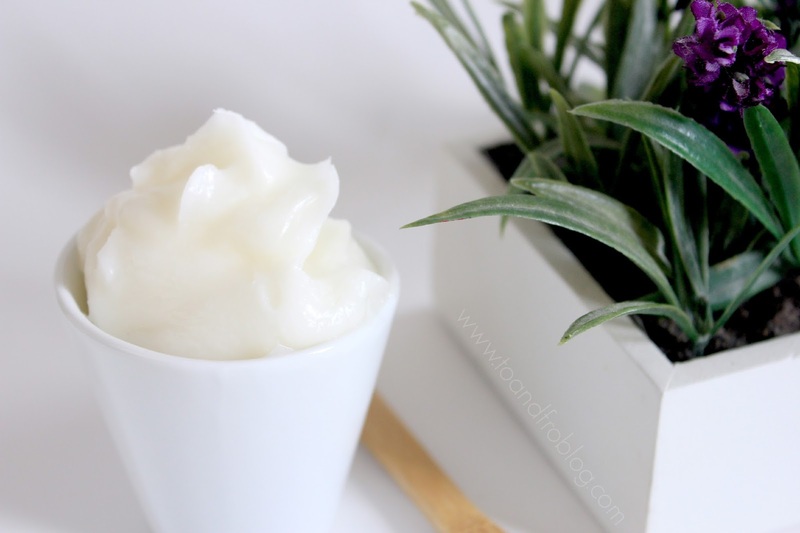 It is easy to whip up at home, easy to apply and has a calming scent. Enjoy! In a double boiler on medium-low heat, combine butters and almond oil and heat until melted. Allow mixture to cool completely (i.e. place bowl in freezer for 15-30 minutes). Spoon cooled mixture in Kitchen Aid mixing bowl. Using whisk attachment, whip on high speed 6-7 minutes or until whipped to a light, airy consistency. Spoon whipped body butter into a glass jar and cover tightly. Store at room temperature, or refrigerate if your house is warm enough that it melts the oil. Apply daily during pregnancy and after birth. Lavender essential oil is healing and calming. It also nourishes broken, cracked skin. Frankincense oil promotes cellular health and calms and soothes the skin. Vitamin E oil is moisturizing and highly nourishing. It also prolongs the life of your butter. Sweet almond oil contains vitamins A and E. It contains a large amount of antioxidants which help skin appear younger. Coconut oil is extremely healing. It is full of antioxidants and Vitamin E.
Shea butter helps rebuild collagen which is broken down when the skin ages or becomes damaged. *I recommend applying this body butter right after the shower. It is oily, so allow it to dry on your skin before putting on your clothes. Do you have your own secret recipe for keeping your skin moisturized?